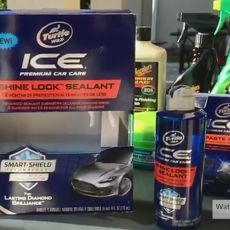 This is a review and water test for the new Turtle Wax ICE Shine Lock Sealant for 2015. I picked this up at Walmart for just under $15. With only 4oz of product in the bottle, that's a much higher price per ounce compared to most of the other over the counter products, but if the actual protection claims are true then applying a sealant like this shouldn't be something that you have to perform often.